Lemminkäinen’s portfolio includes numerous underground projects, including water storage works completed in Turku (pictured). The company’s net sales in 2014 were approximately two billion euros. 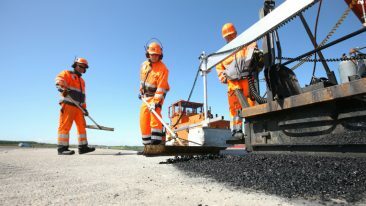 Finnish construction group Lemminkäinen has won a six million-euro contract to refurbish a sewer tunnel in Tallinn, Estonia. Together, Lemminkäinen and AS Tallinna Vesi agreed upon the repair work needed on the Tihase (Merimetsä) tunnel collector. Work will commence immediately, with completion slated for the end of the year. The Tihase tunnel collector forms part of the Tallinn sewerage system used to transfer wastewater and storm water from the Mustamäe and Kristiine areas to the wastewater treatment plant located in Paljassaare. Lemminkäinen will restore certain damaged areas of the tunnel that are up to 10 metres deep to prime functioning condition, thus ensuring undisturbed operations in the future. Lemminkäinen will take the reins of the project from design to delivery of the final tunnel.